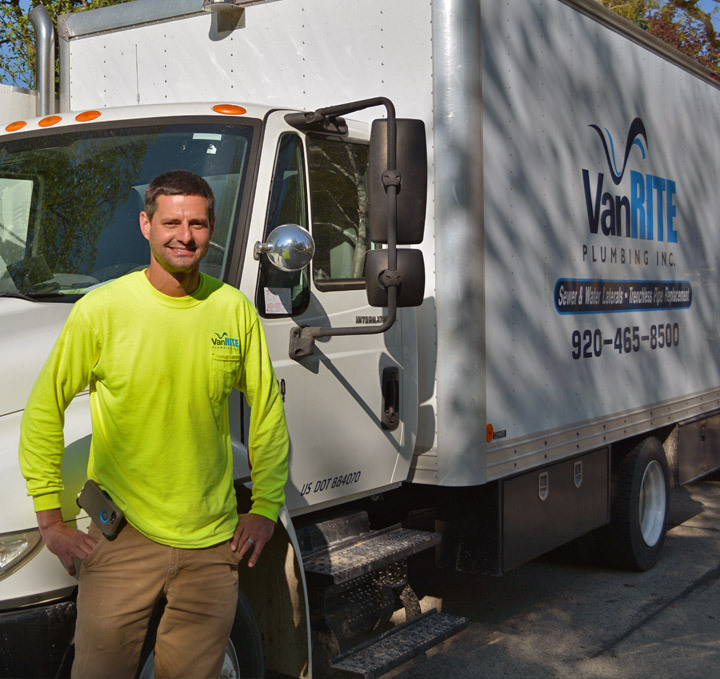 Van Rite Plumbing is a family owned business, serving the Green Bay area since 2005. Our success has been due to referrals from our many satisfied customers. Lee Van Rite is a licensed Master Plumber. Lee and his reliable staff are committed to making sure you get proper, quality service, at the fairest prices. We look forward to helping you install and replace sewer and water lines with trenchless pipe replacement, horizontal directional drilling, and pipe bursting services. We will extend our family style business approach and dedication to providing you with the best service. For fast, friendly and efficient service in Green Bay, the Fox Valley and Greater Wisconsin, call the Van Rite team.